In Giraffe we believe play is a crucial part of any child’s development. Children play because they enjoy it, and its fun! We try to make each child’s learning experience from day one in our setting as positive, fulfilled, and as imaginative as possible on a daily basis. In our facility we develop all learning aspects of the children’s development through our extensive curriculum and daily activities. In our baby and wobbler rooms we create a home from home experience, creating a warm, secure, friendly cosy atmosphere. We have a variety of activities from water, sand, creative and sensory play, story time, music, heuristic play and relaxation. Heuristic play is a term used to refer to the kind of games that encourage active exploration through the use of children’s senses. The child instinctively seeks to investigate objects, which interest him or her, and makes discoveries via taste, touch, smell and sound. Which makes this an ideal activity that can be develop and extended from the creche setting into the family home, and all items do not have to be an expensive on the family. This also builds on our parental relationship with our families, as looking after all your precious children is our priority and we want to work in a partnership to ensure each child’s learning experience and individual needs are meet while in our centre. Learning how to maintain attention and focus on an activity is an important skill for children to develop; and when children are particularly fascinated and engaged by they are doing, as they are during a heuristic play session, their concentration levels are considerably higher. Heuristic play strongly encourages children to begin to explore using trial and error methods. In this way, they learn about the properties of materials and experience, first hand, concepts such as size, shape, capacity and mobility. 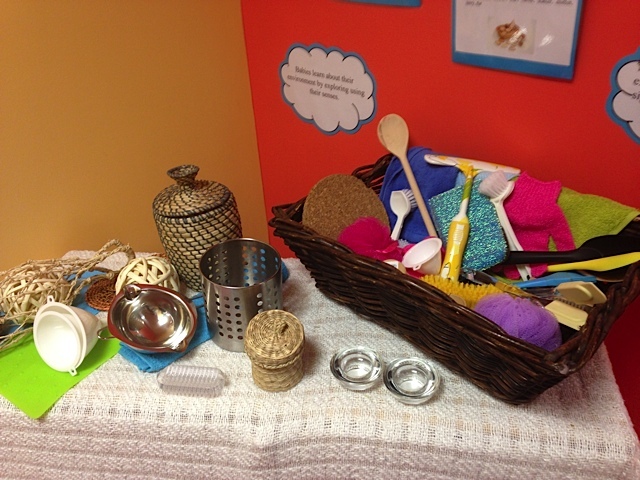 It encourages older children to extend their imaginative and creative thinking and use their language skills to begin to use one object as being representative of another (e.g. pebbles as money). One of the biggest benefits of this kind of play is the ample opportunities for independent decision making. It allows children to feel that they have the chance to control their environment and learning, and to be able play independently of adults.